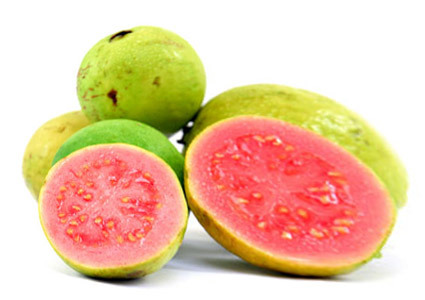 Guava is one of the healthiest fruits today that can be found in most stores. This particular fruit has a high concentration of vitamins and minerals that help boost the immune system against common types of colds. Not only that, the guava actually contains more potassium than the banana, specifically 63 percent more. It also contains the antioxidant lycopene which helps flush out toxins from the body. When eaten on a routine basis, guava is believed to help in preventing prostate cancer. It’s true that fresh blueberries provide the best vitamins and minerals, but getting them is really impractical. Instead, you can simply purchase frozen blueberries that are luckily available for the whole year. They can be served as a shake or yogurt, providing you with a healthy dose of antioxidants, and they are very high in dietary fiber too,w hich may prevent weight gain by providing calories that are not absorbed and displacing high-calorie refined foods. Lots of people seem to forget cabbage in favor of other green and leafy vegetables such as lettuce. What most people don’t realize is that this vegetable is jam packed with nutrients that can fight cancer. Another cancer-fighting vegetable is beets which look unappealing at first. This not so desirable food is laced with folic acid which provides excellent help to pregnant women. The color of the beets which most people do not like is actually the main attraction of the vegetable as the pigments are believed to help prevent the onset of cancer. Although they may seem like processed food, sardines actually come with various minerals that make them ideal for a weekly diet. Sardines are loaded with omega-3 fatty acids known for their positive effects with cholesterol levels and weight loss. There’s also a bunch of potassium, magnesium, zinc and B vitamins that can help boost a person’s immune system. Another product that most people steer clear of is pumpkin. Probably the only time it becomes popular is during the Halloween but after that, individuals rarely devise recipes with pumpkin in the ingredient. What is important to know is that pumpkin actually contains lots of fiber for digestion. It also has very few calories, ideal for weight watchers. Although fresh pumpkin is usually the best source, the canned ones are every bit as good and shouldn’t discourage anyone. Of course, those aren’t the only healthy food items that may be lacking in your diet. Keep in mind that the hallmark of a healthy individual is balance. As long as a person eats a balanced meal combined with daily exercises, there’s a good chance that he will enjoy a long and happy life.